Blockchain is the new Tech buzzword in the art market. Every month, it seems, a press release comes out announcing yet another “disruptive” blockchain application. 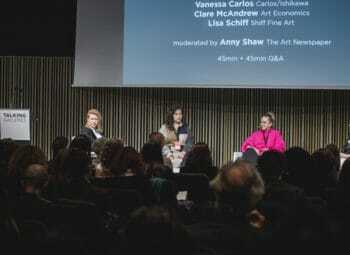 The claims include a range of industry-shattering functionality, including: the end of issues involving provenance, the ability of artists to collect commissions across the lifetime of a work, the end to fraudulent works placed on the market, and the democratization of art by cutting out the middleman or woman. Here is the latest list of art-specific Blockchain projects in various stages of startup. Note: all Blockchain projects are startups. 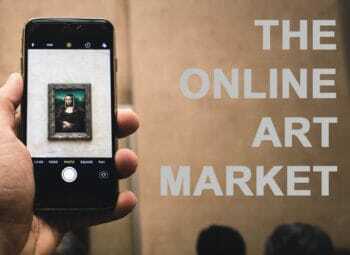 Follow ArtMarket.guru’s industry notes to know more about how the companies are or plan to make money, what the press is saying about them, and how effectively they are serving art markets. AllPublicArt.io. 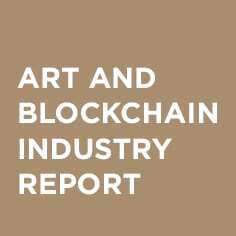 By adopting blockchain technology as a regulatory function, AllPublicArt allows artists and art collectors to do business with each other through smart contracts, eliminating the need to pay commissions to intermediaries. Apart from reducing costs, this also secures the validity of each peer-to-peer reviewed transaction. AllPublicArt intends the use of blockchain to minimize cases of forged art and to verify the ownership of artworks. The electronic marketplace aims at optimizing art trading by ensuring transparency and efficiency at every step of the process. Archetype.mx. The meme economy is now here. With its Meme Generation Engine, Archetype enables users to create their own cryptographic tokens showcasing memes, art, and other kinds of information. It relies on a decentralized network comprised of a series of smart contracts that lets users trade blockchain-secured tokens through the Ethereum blockchain. It has also developed a content aggregation platform in which users can sort content and view token balances. In this information age where memes are gaining greater value—from generating traffic to influencing electoral votes — Archetype has established a network where anyone can create and trade memes in a decentralized market. ArteQuesta.com. ArtéQuesta is an art investment company that preserves artworks portraying Jewish and Israeli culture and history. It helps individuals, families, and institutions discover and invest in new art collections, including those unavailable to the general public. 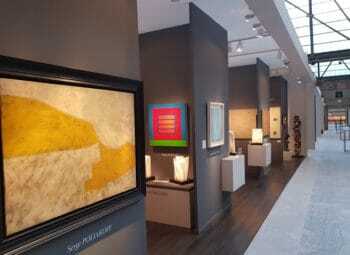 ArtéQuesta conducts market research to offer clients advice about art investment. It also hosts exhibits for specialized collectors and represents artists by acting as publishers of their works. A very small number of Israel’s historical artworks can be found in museums today as most of them are now hidden from the public or are yet to be found after being stolen by Nazis in the Second World War. ArtéQuesta works with a team scattered all over the world to locate and protect artworks that have lost their provenance through the years. ArtByte.me. The ArtByte Foundation was built to help artists across all media gain recognition and financial support for their work through the technology of person-to-person digital currency. The Tipping App allows art enthusiasts to give ArtBytes to their favored artists on Facebook, Twitter, Reddit, and Pinterest. Both artists and fans can also earn ArtBytes by participating in community forums. Apart from its social media community, ArtByte continues to expand its mining pool and seed servers to cater to its growing global market. It also hosts weekly talent showcases and offers regular grants to promising artists. ArtChain.info. ArtChain is a UK-based blockchain start-up that employs decentralized blockchain technology in providing digital identification certificates of artworks. The art market is currently fraught with counterfeit art and complicated processes of verifying an artwork’s authenticity, often involving third-party accreditation agencies. ArtChain relies on the Bitcoin blockchain to authenticate art by certifying chain-of-ownership, ensuring that digital certificates of authenticity cannot be forged. ArtChain also funds art contests by rewarding winning artists with ArtChain tokens. With the use of smart contracts and digital tokens, ArtChain aims to make art trading safer and more efficient, mitigating any possible risks associated with art investment. Artex.global. In today’s art market, there is a lack of transparency in the transactions between artists, galleries, and investors. Artex Global employs blockchain technology in recording the provenance of artworks, including a history of transactions and art critiques. It launched its mobile application in hopes of extending the circle of art investors beyond fine art experts and art dealers to include those outside the elite community. Artex provides a vast media holding for photographs on the blockchain and is targeting 10% of the general art market in the next three years. Artlery.com. Artlery’s goal is to advance and protect artists’ interests and rights by providing a convenient platform for pricing, valuing, and selling art. Its mobile app allows artists to track engagement with digital versions of their artworks, which they can also share online through custom links. 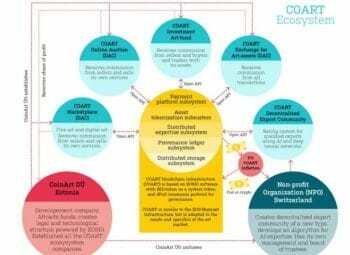 Artlery relies on an art-backed cryptocurrency called CLIO and provides easy and instantaneous payments through bank transfers. Payments are sent directly to the artists without their rights being discarded at any point throughout the transaction. 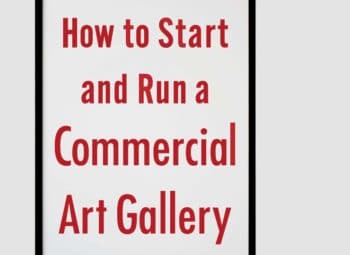 Artlery also aims to break the exclusivity of art investment by organizing Initial Public Offerings where anyone interested can own fractions of an artwork and receive revenue from its sale. Artory.com. 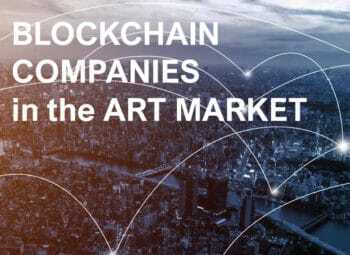 Artory wants to build an elevated sense of confidence in the art trading market by implementing blockchain technology and modern cryptography to document all activities that take place in the buying and selling of art. It maintains a secure and unchangeable digital registry where collectors can verify ownership without worrying about their identity being stored in the database. Artory aims to provide a convenient buying experience with its standardized certificates of sale and irrefutable proof of ownership. It also aims to reduce cases of forgery by ensuring that artists maintain authorship of their works. ArtTracktive. Before investing in a work of art, buyers are often held down by doubts relating to an artwork’s authenticity and traceability. 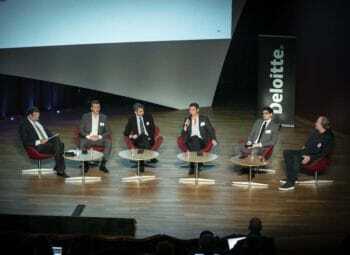 This common setback in the art market is what inspired Deloitte Luxembourg to create ArtTracktive, a proof of concept designed to track the ownership and history of an artwork by using a blockchain distributed ledger. The idea is to build a medium for artists, galleries, and other stakeholders to share and distribute relevant information in the sale of an artwork. This way, the validity of each transaction is reviewed before the artwork is transported. Their business model was designed to be resilient and scalable, ensuring non-repudiation of transactions through cryptography. Ascribe.io. Although art is now easily shareable over the Internet, maintaining authorship remains a challenge. Ascribe’s idea is to give artists full control of their intellectual property in this digital age by providing tools that allow them to secure authorship and gain visibility wherever their work appears. It also claims to create a hassle-free environment where buyers can discover and own digital artworks by simply transferring intellectual property rights over e-mail. Each claim of authorship is kept in a public and secure blockchain resulting in a cryptographic ID that serves as a permanent link between artists and their work. Ascribe’s goal is to empower art creators, simplify business transactions, and make the overall art market a safe place for all parties involved. Bitmark.com. In this digital age, it has become increasingly difficult for people to retain ownership over their data. Bitmark aims to address the concern. The Bitmark blockchain was built to allow the creation of property from digital data. Its system uses a web-based application to grant everyone access to the data economy. With Bitmark’s suite of tools, Bitmark intends for individuals to be able to extract their data from social media and other apps where people create and share information. This way, users can easily mark each new creation with an accepted ownership, which will then be stored in Bitmark’s standardized crypto property system. Bitmark’s ultimate goal is to treat data as a major asset from which creators can generate wealth and value. Binded.com. Binded designed a private copyright vault for users to upload their images. They let creators register their copyright by generating a unique fingerprint, which will then be permanently stored in the Bitcoin blockchain. Copyright certificates are given to creators to protect them from potential copyright infringement. By allowing users to produce a proof of creation in a public database, artists no longer have to go through the bureaucratic process of officially registering their work in the Library of Congress. CodexProtocol.com. Codex Protocol is a blockchain company that stores authorship and provenance of an artwork while ensuring privacy. The Codex is a blockchain-based decentralized title registry, supported by a consortium, for the art and collectibles asset class. The company values the importance of provenance and authenticity on which the entire value of an artwork is based. Its application, Biddable, enables cryptocurrency holders to bid in auctions through a smart escrow contract. This also spares auction houses from losing substantial revenue to bidders who withdraw from items they’ve won. Cointemporary.com. Cointemporary is an online platform run by artists for international contemporary artists. It exhibits a single work of art for ten days while selling it for a fixed Bitcoin price. Once the artwork is sold or the exhibit period is over, another artwork from a different artist is featured. Each artwork is uploaded as a digital file protected by a cryptographic certificate of authenticity with a unique entry on the blockchain using the Ascribe platform. 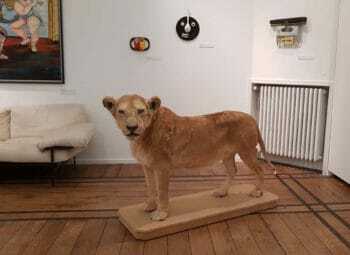 Aside from featuring artists who use traditional mediums like photography and painting, Cointemporary also showcases installation art, video work, and sculptures. Cryptoart.com. Cryptoart combines offline Bitcoin storage with digital art, giving buyers a safe and easy way to secure their digital currency in physical form. This reduces the risk of having one’s computer-stored Bitcoin hacked or stolen. Each piece of art is handmade and produced as a limited edition with a certificate of authenticity. It comes with a QR code and a private key hidden under a security sticker. Money can be sent by scanning the code with a mobile Bitcoin wallet. The private key is used to retrieve currency by entering it into a Bitcoin exchange. Dada.nyc. Dada is a visual conversation network where artists and non-artists communicate with one another through drawings with the added enjoyment of creating art together. Each artwork is assigned one out of five levels of rarity, which ranges from common to extremely rare art. Powered by Ethereum, transactions are done using smart contracts to ensure IP protection and digitally verifiable proof of ownership. Besides building a vibrant collaborative community for artists to share their works, Dada also envisions a digital market where artists receive substantial monetary value for their art. Everledger.io. Everledger believes that the value of an item is tied to its origin and history. This is what motivated the company to provide provenance for diamonds on a digital global ledger. Using blockchain and smart contracts, Everledger is devoted to the mitigation of risk and fraud for banks, insurers, and open marketplaces, working with major certificate houses from different parts of the world. For every piece of diamond, a digital thumbprint is created and saved on the blockchain. Diamonds are just the beginning for Everledger as it aims to provide the same level of trust in other markets where provenance matters, with the guarantee of ethical trade. Furtherfield.org. Furtherfield is a non-profit online community run by artists where people can discover new ideas and possibilities for art and technology. Pioneering the concept of networked and digital art, Furtherfield is also an arts organization and online magazine where artists, programmers, activists, writers, and thinkers can collaborate on global participatory projects. Its gallery and lab are located in London’s Finsbury Park where adventurous digital arts activities are held. 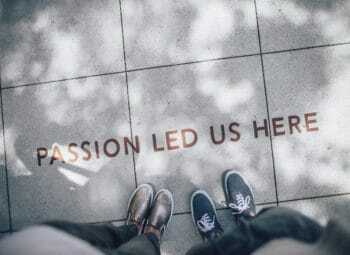 It provides a decentralized and distributed channel for a diverse group of people to engage with the arts and technology while fostering social change. Furtherfield is known for its advocacy of conveying important global messages through digital creativity. KnownOrigin.io. Known Origin integrates digital assets with the art world using the Ethereum blockchain to facilitate the production of proof of ownership, provenance, and authenticity. It has built an online marketplace where anyone can own an original artwork linked to a digital asset through the use of cryptocurrency wallets. A distributed ledger tracks the authentication of the original artist and the buyer. Known Origin also organizes pop-up exhibits on their online galleries from time to time, featuring a diverse range of artists and creative practitioners. Along with many blockchain companies in the art market, it ensures transparent and risk-free transactions while increasing digital sales of art. Looklateral.io. Look Lateral, founded in Mantova, Italy in 2011, is a blockchain-based art platform aiming to revise the art identification and pricing process. The pricing system is constantly being updated with the use of complex algorithms and a stream of ever-evolving data from the global art community. The platform will also allow the user to buy artworks as a whole or in portions efficiently and securely with the help of blockchain technology. Look Lateral uses invaluable art world experience paired with innovative technology to make buying and trading artwork as transparent and efficient as possible. Maecenas.co. 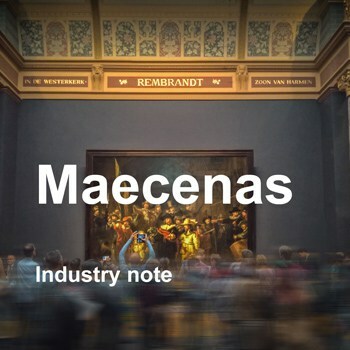 Maecenas is a relatively new player in the field of blockchain-based art trading. With the intent of democratizing access to fine arts, Maecenas is creating an online marketplace to give art enthusiasts the opportunity to buy shares of renowned paintings. It promises a convenient experience in art investment without the presence of intermediaries by raising funds from a group of investors, using an artist’s collection as collateral. Maecenas intends that Investors are fully protected by insurance, and provenance is documented through cryptography. Maecenas wants to be able to browse through artworks curated by experts and to compare prices and performance with other lead players in the market. MediachainLabs.com. Mediachain is an open and universal media library where people can share information across different applications and organizations. Creators in this digital era no longer have to rely on centralized platforms for their identity, audience, and profit. Mediachain has designed a peer-to-peer decentralized database where all data is tamper-proof and collaborations have no central point of control. It uses cryptography to ensure that all the data stored in Mediachain maintains authorship, creating an open channel for analytics and value to flow freely. Mediachain remains a stalwart believer in open and shared data that can ultimately reshape the way creators, developers, and organizations exchange and experience media. Monegraph.com. The relationship between an artist’s work and its audience is what Monegraph aims to refine. Monegraph offers an open platform where anyone can register their works on the Bitcoin blockchain. Creative practitioners are able to efficiently handle licensing, pricing, and social distribution for their works. Monegraph’s growing suite of blockchain and cloud-based tools allows artists to integrate their works into their own website, social media profiles, and other platforms where they communicate with clients. Artists upload their work to the blockchain, set the terms for the commercial use of the work, and distribute it through a public Monegraph catalog or any other platform using compatible plugins and widgets. MovingPictures.Gallery. This online art gallery features media artists who create electronic art using custom software, circuits, and code. Each audiovisual performance is stamped with a unique fingerprint from a cryptographic hash which the blockchain enters through a decentralized ledger. The use of smart contracts guarantees provenance and royalties to the artists. Moving Pictures sets about exhibiting the most innovative electronic media artists in the world. Each exhibited piece is a single edition. Blockchain provides streamlined peer-to-peer transactions that are secure and trackable. Moving Pictures embraces an emerging global culture fueled by technical systems, composition, and improvisation. ProvenireAuthentication.com. The goal of Provenire Authentication is simple: to protect stakeholders against forgery and theft through a secure system designed to safeguard priceless art. The Provenire Sticker was created using synthetic DNA polymers to uniquely mark each artwork. This way, provenance is traced through the sticker’s DNA using microfluidic methods. The tagging DNA can be examined several times for fifty to a hundred years. Provenire’s innovative system of authentication creates a safe space for art collectors, where the risk of buying counterfeit art is completely eliminated. Seezart.com. Seezart banks on blockchain technology that gives artists the freedom to check, certify, and notarize all engagements that take place behind their artwork’s sale. With just a few clicks, certificates of authenticity are generated from any connected device, proving ownership and ensuring traceability of their works. An artwork’s permanent record is secured on a digital decentralized global ledger. Seezart intends that seasoned and first-time art collectors verify provenance in real time and have instant access to certificates of authenticity and legal titles. Seezart envisions an open, transparent, and safe market not just for artists and collectors, but for art insurers, galleries, and art professionals as well. Sendergram.com. Sendergram claims to provide a secure blockchain platform for digital media creators. The platform offers an ecosystem through which artists can share files, review work, and make deliveries of files. Sellers and buyers can transact business through the blockchain. The blockchain registers every activity relevant to a work to record provenance, reinforce copyright, and make infringement claims easier to defend. Sendergram’s co-founders originally pitched the project in 2016 as a generic file sharing and attribution application. The company has since set its sights on an already crowded arena of blockchain applications for digital art verification. Competitors already include Verisart and Artlery. Tend.swiss. Tend is a Swiss blockchain company that believes in a shared economy through investment in special and precious objects. Each luxury item is split into asset tokens via smart contracts on the Ethereum blockchain. Anyone looking to fulfill a passion or personal purpose can purchase these tokens and receive investment returns as co-owner of the asset. Tend claims all assets undergo a diligent procedure of authentication, and individual shares are stored in the blockchain to be later registered, and subsequently traded. Verisart.com. Verisart’s model is to certify and verify art using the Bitcoin blockchain. Three years after its launch, Verisart continues to provide contemporary artists a free platform where they can generate permanent certificates of authenticity. Verisart’s provenance and registry services are corroborated by distributed ledger technology and museum certification standards. Using the blockchain, it aims to build a global ledger of art and collectibles and impart immediate value to artists, collectors, and insurers. Verisart believes in the power of cryptography to address security and privacy issues in the art market. Whs-coin.com. 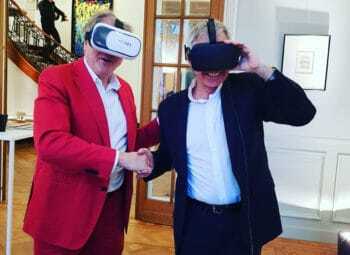 Whitestone Coin is an art trading platform built on blockchain technology where anyone can virtually visit their real galleries located in major cities around the world through the use of VR technology. Art enthusiasts can also communicate with the artists and show their appreciation. 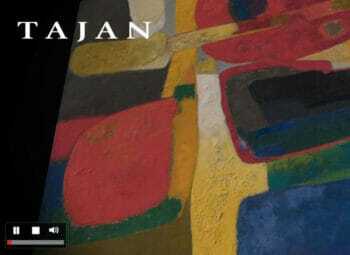 Collectors are free to sell art pieces that they have on the online platform. Real works are sold and delivered at affordable prices. Whitestone links biometric data with the blockchain to resolve authenticity issues. Whitestone Gallery is also known for investing in overlooked artists, giving priority to artists from Asia, especially Japan.